You may have slept soundly for the past two years, since The Owlman went into hibernation after unleashing a short-lived reign of terror on the World Wide Web. Let’s just hope you’re well rested because The Owlman has made a creepily clawed return, terrorising the brave and foolhardy who seek him out in his abandoned hospital residence. The creators of the monstrosity have just released a new series of prank videos – a trifecta of terror, if you like – proving avian atrocity can still make unsuspecting monster-hunters scream. Apparently the masked man-turned-owl has still got it; his latest fright fest is trending on YouTube. 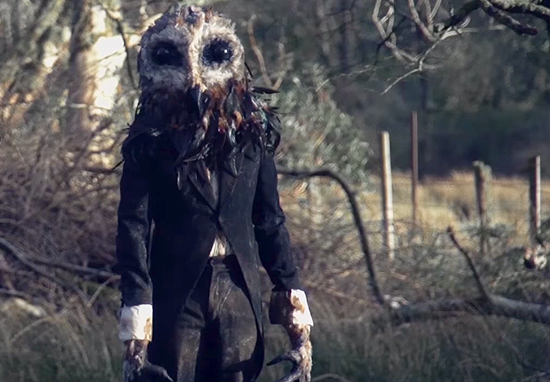 The prank montage has been released to announce the release of The Black Gloves; a feature film starring The Owlman, who will embody ‘the true heart of darkness’ in the grim narrative. The film has been backed to the tune of £32,000 on Kickstarter, having reached over half its £50,000 target.